McGehee batted second in the Tigers lineup and went 4-for-5 including a double in the Tigers 2-0 win. 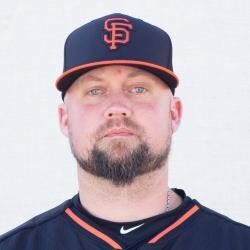 The 33-year-old veteran McGehee will likely be the Tigers third baseman for the foreseeable future while Nick Castellanos recovers from his fractured thumb. He is a career .259 hitter with 67 home runs in his eighth season.